In 2010, there were 109 new posts, growing the total archive of this blog to 519 posts. There were 189 pictures uploaded, taking up a total of 24mb. That’s about 4 pictures per week. The busiest day of the year was October 2nd with 136 views. 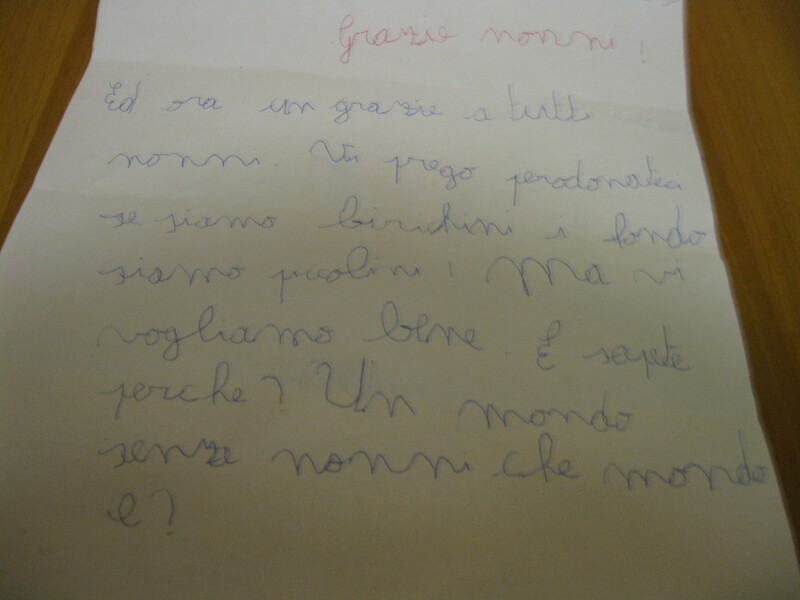 The most popular post that day was Festa dei nonni. The top referring sites in 2010 were mail.live.com, wordpress.com, link.smartscreen.live.com, gabriarte55.wordpress.com, and cid-0e6b1e91cc2225c7.profile.live.com. Some visitors came searching, mostly for nonnatuttua, firenze neve, raggio di sole, testo inglese non vedenti, and “gabriella solare”. NON POSSO FARE ALTRO CHE RINGRAZIARVI TUTTI, DI CUORE! SIETE VOI CHE FATE IL MIO BLOG! ANCORA TANTI AUGURI PER QUESTO 2011 NUOVO NUOVO…. Grazie Fausta. Sono onorata di farne parte. CIAO FAUSTA!!!!! TI HO SCRITTO COSI’! “Fausta!!!! Ciao! Ah, la mia versione. La stavo canticchiando mentre mettevo a posto una stanza e ho pensato: “ma…chissa’ se mi riesce ancora… ma su…dopo la incido nel pc”. ” Appassionato di Denver” e’ dir poco…..le conosco tutte (a certe devo pero’rinunciare per la “caduta di voce” di questi ultimi anni)”.